SPT’S (Soil penetration testing using open drive shoe) & SPT(C) (Solid Cone) for sand/gravels. Hand Held sampling for low head room or confined areas were the tracked rig will not fit. Using a hydraulic hammer to drive the samples into the strata. Concrete coring off the rig for drilling on hard standing. 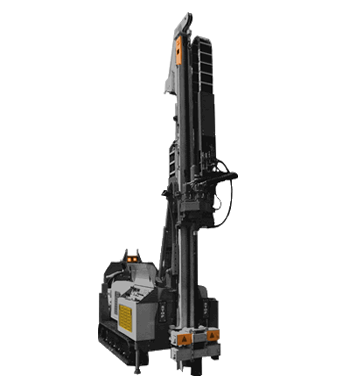 Stand alone diamond coring unit (electric powered) for hole up to 350mm diameters & to a depth of 1.5metres. Hand dug trial pits to expose footings, utilities etc. Water/gas well installations for on going monitoring. 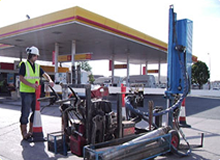 SVS Surveys (soil vapour surveys) to determine gas presence before drilling on Petroleum service stations etc. SVS Surveys, SVS Surveys (soil vapour surveys) to determine gas presence before drilling on Petroleum service stations etc. NEW SERVICE, A totally unique Electrical powered drilling unit which is capable of Windowless sampling, SPT’s etc, the same as a diesel/petrol powered rig. MORE INFO.